Any seasoned editor will tell you that color is an important quality in a photo. The tones and colors that we perceive in photos present us with different moods and ideas. 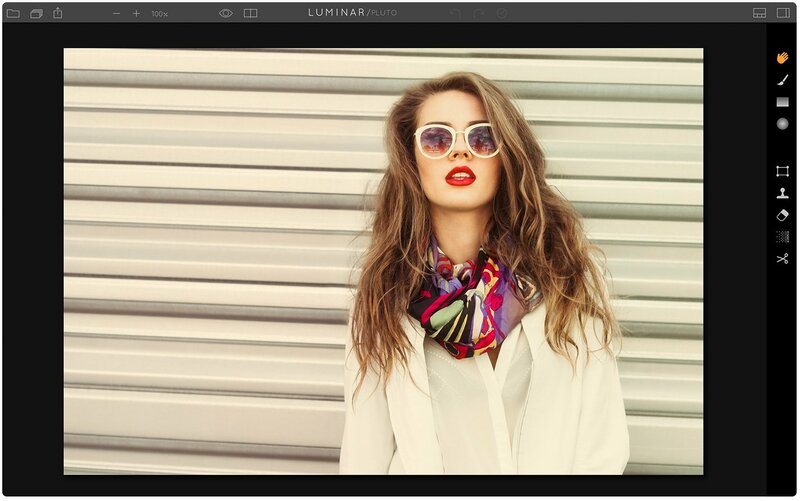 To ensure you get your desired effect Luminar offers dozens of ways to maximize control over your color photos — both in overall tone, and in the subtleties! When you begin to edit a photo, first ask yourself: “What mood do I want from this image?” The effect of color choice is powerful — the same photo can range from dark and dramatic to energetic and hopeful, depending on the colors that an editor chooses to emphasize. Want a cold and serious photo? Or would you prefer a lively and vibrant photo? There are colors and temperature tones to best achieve these effects. 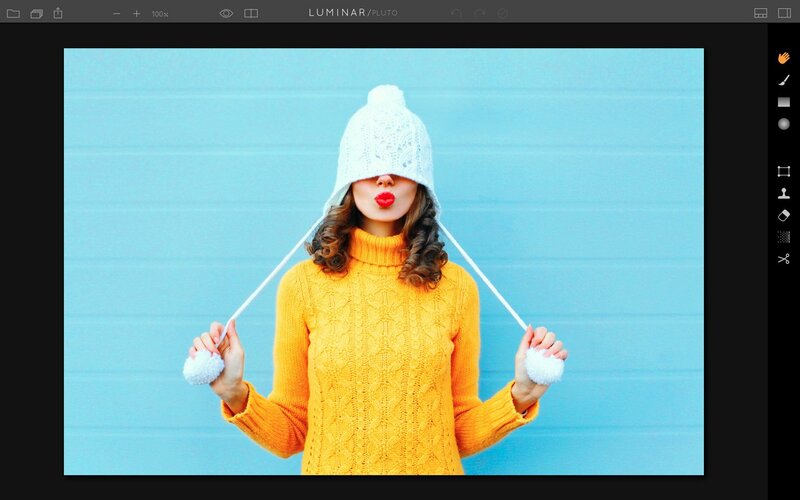 Let’s examine how to create a few different image effects using Luminar’s tools. Ominous color effects for a mysterious picture are easy to achieve using photo software. First, take a look at the photo presets available in Luminar. You’ll notice that presets like “Abandoned Place,” “Cold Mood,” or “Tears in the Rain” all pull down the saturation or make a cooler temperature in the photo. Simply click a preset that represents the color manipulation you’re looking for and you can further adjust it in the sidebar! Or try full manual control by adding an “HSL filter” and pull down saturation in certain photo tones like green, red and yellow. Vintage photo tones can vary but are often characterized by a warmer temperature and a slightly purple tint. You can easily edit your photo this way using the default editor workspace on the side bar. For maximum control of the effect, click the plus in the top right corner and add “Color Balance” and “Split Toning” as well so you can control the tones in your shadows, midtones and highlights all separately! In certain vintage photos, particularly beach-style images, you’ll want to cool down the highlights and warm up the shadows, while adding a purple hue. 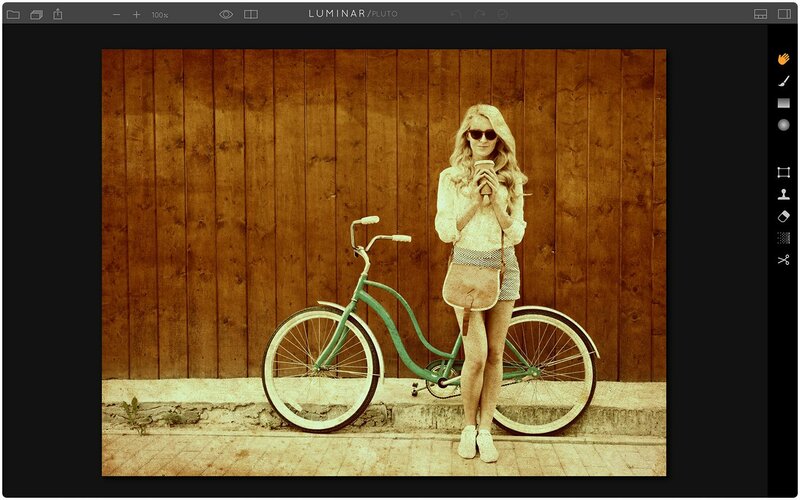 Editing with presets is also an effective option for vintage photo effects. The “Vintage Look” preset offers a different take on the vintage image by pulling down skin tones and greens while adding a slight vignette. Or try “Happy Memories” if you’re looking for a warmer vintage-photo feel. Sometimes we want the colors in our photos to really pop, like in a vibrant landscape or bustling market in Dehli. 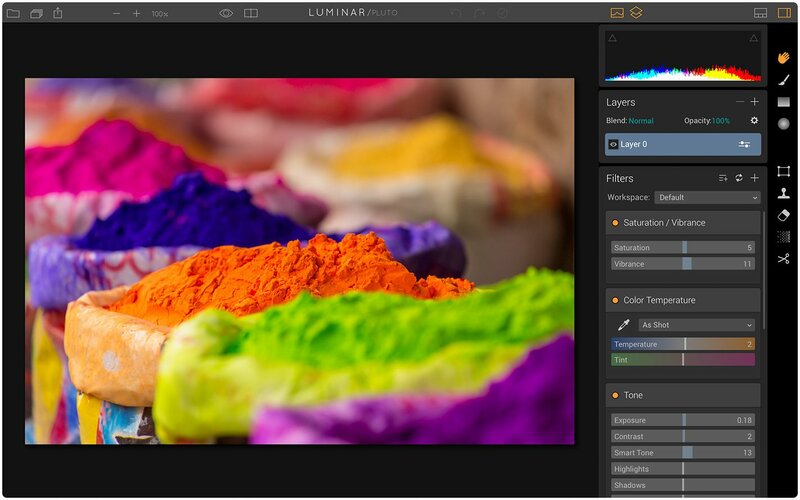 The simplest way would be to increase saturation, but photo editor software like Luminar allows you to accomplish this with even more precision, to get your ideal effect. Simply go to “add filters” and look at the dozens of options available to finely tailor your colors. Try playing with saturation, vibrance, color contrast or bi-color toning and select which tones you’d like to stand out the most! Presets like “Vivid,” “Peruvian Desert,” and “Impressive” all edit your shot with vibrancy in mind and can also serve as a fast option to brighten and enhance the tones in your photo. And if you find that the tones are too intense in some areas, no worries! Simply play around with HSL saturation levels to adjust the preset to your liking. Software for photo editors can offer promises of saturated perfection — but all too often it doesn’t offer tools for controlling color subtleties. Remember: color speaks! So choose a software that allows you as much control as possible, so each tone can reflect your statement.